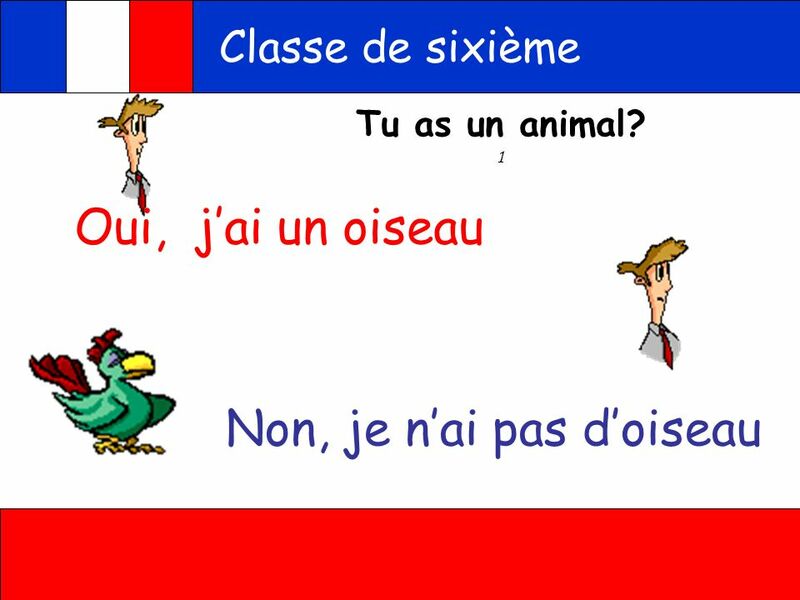 Classe de sixième Tu as un animal? 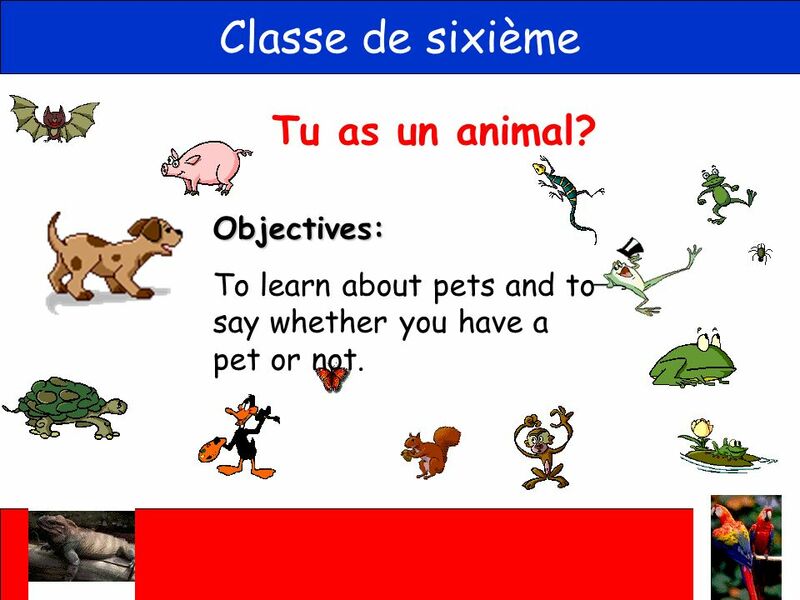 Objectives: To learn about pets and to say whether you have a pet or not. 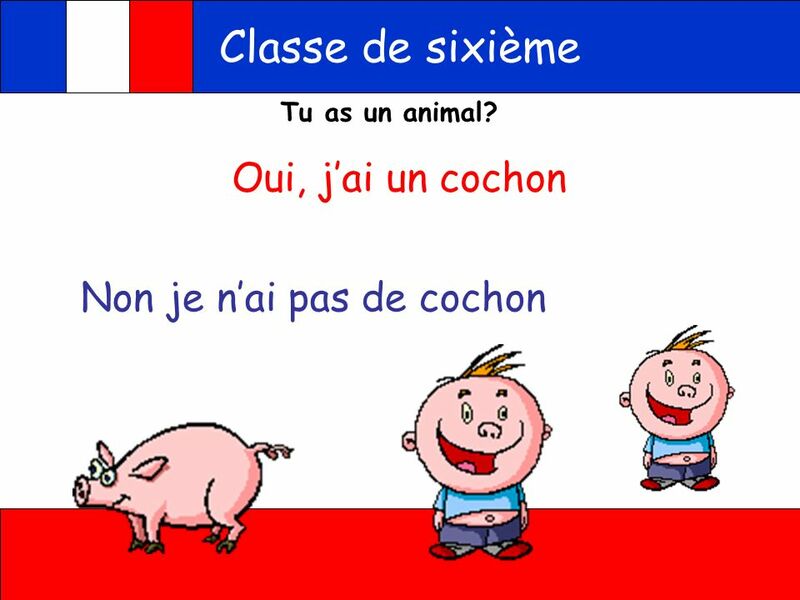 Tu as un animal? 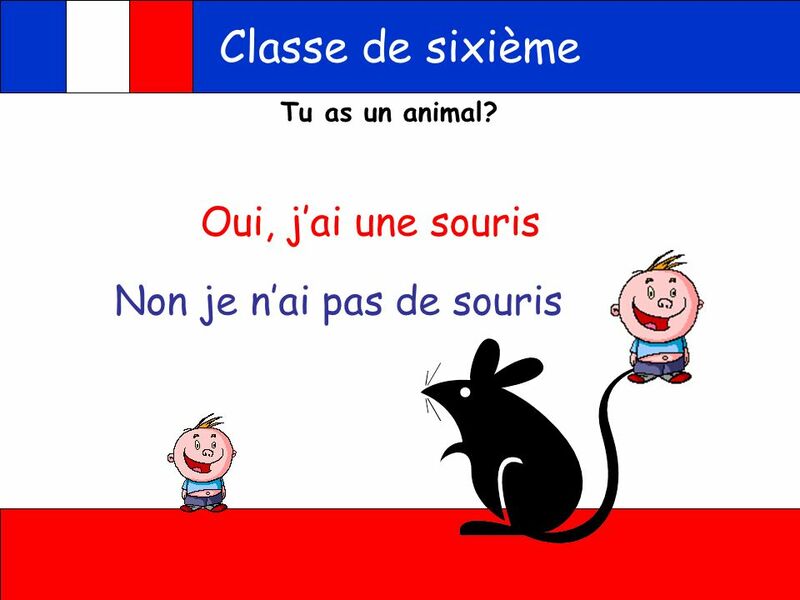 Tu as un animal? 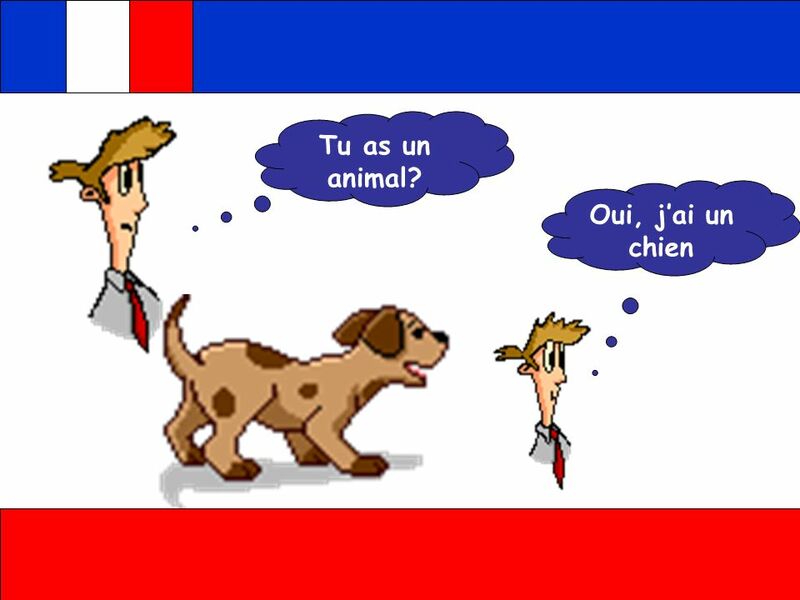 Oui, j’ai un chien Click on the right hand man and the sound will come. 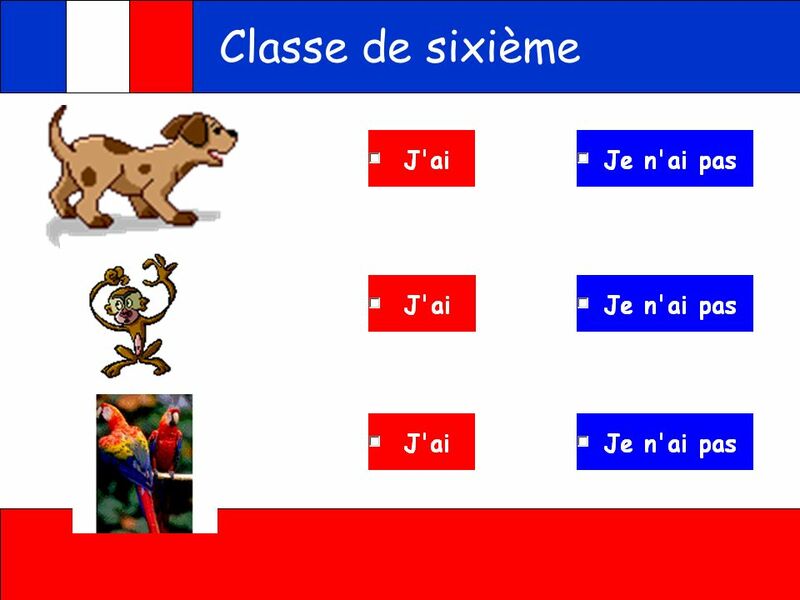 Clicking anywhere on the slide will make the words appear. 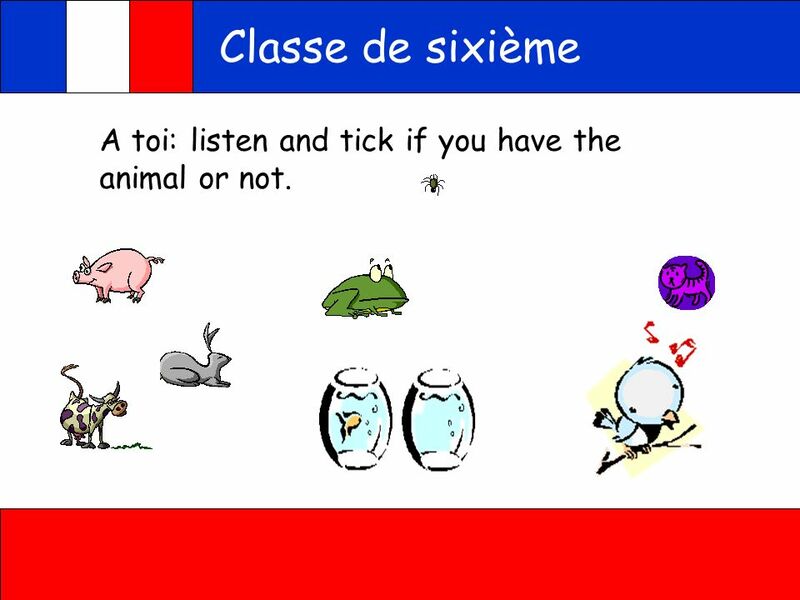 14 Classe de sixième A toi A toi: listen and tick if you have the animal or not. 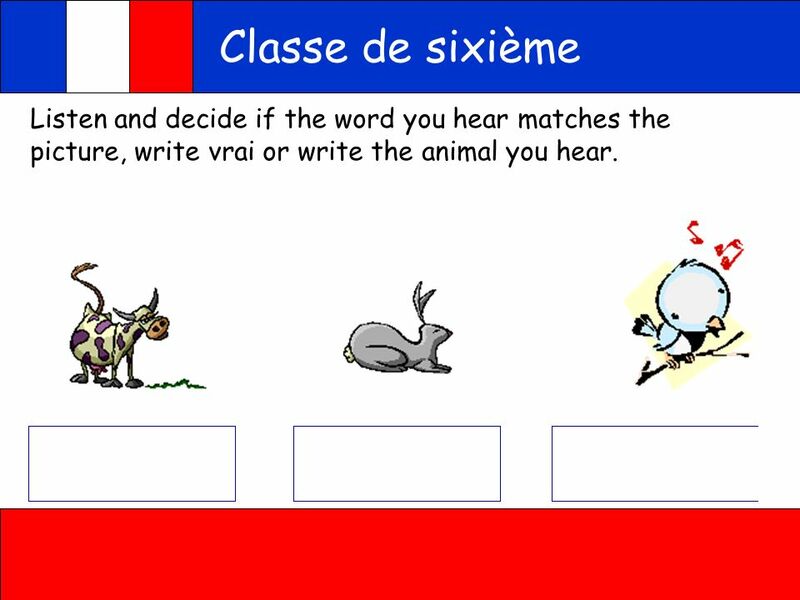 20 Classe de sixième A toi Listen and decide if the word you hear matches the picture, write vrai or write the animal you hear. 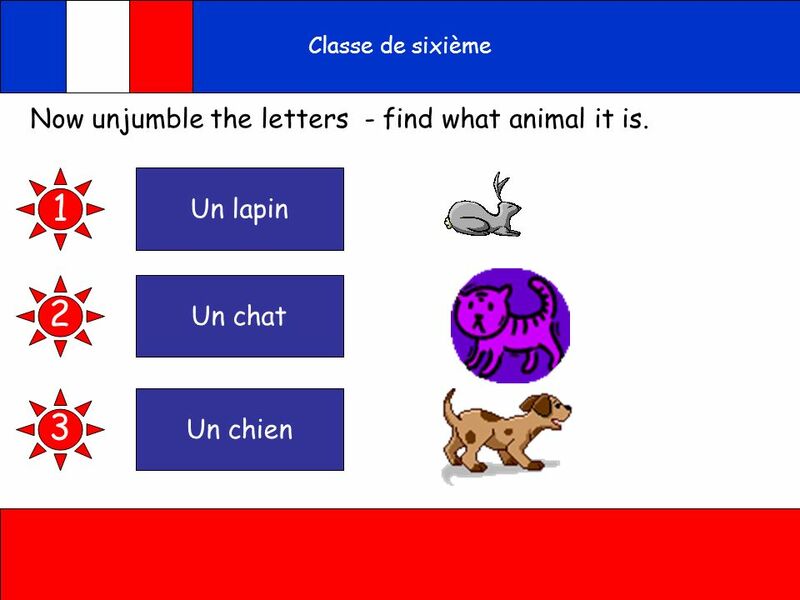 22 A toi 1 2 3 Now unjumble the letters - find what animal it is. 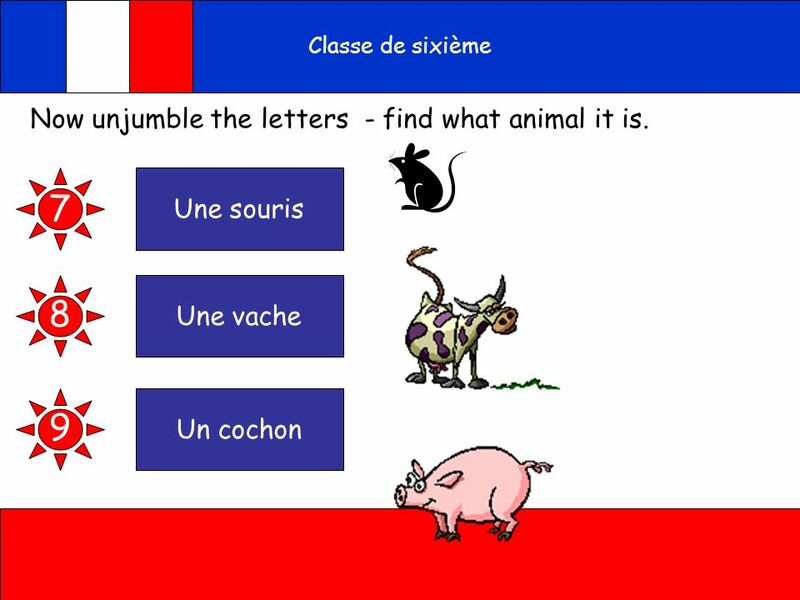 23 A toi 4 5 6 Now unjumble the letters - find what animal it is. 24 A toi 4 5 6 Now unjumble the letters - find what animal it is. 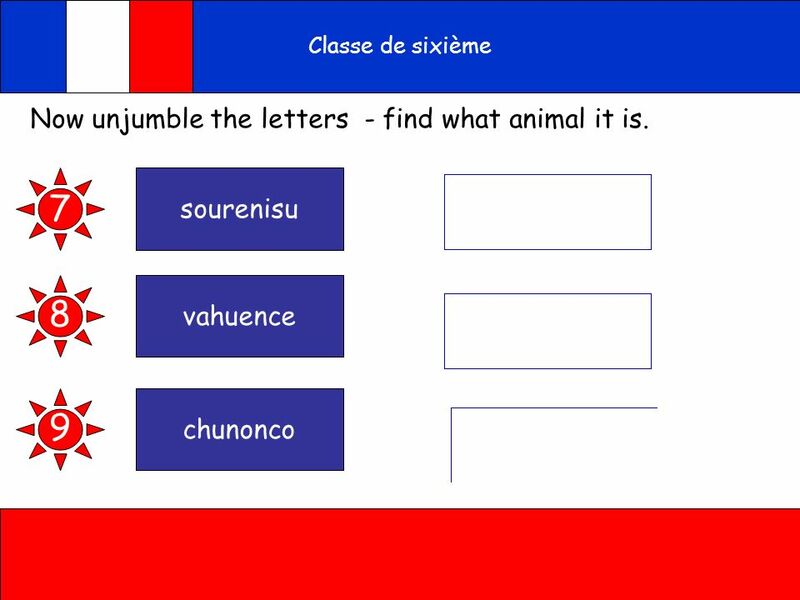 25 A toi 7 8 9 Now unjumble the letters - find what animal it is. 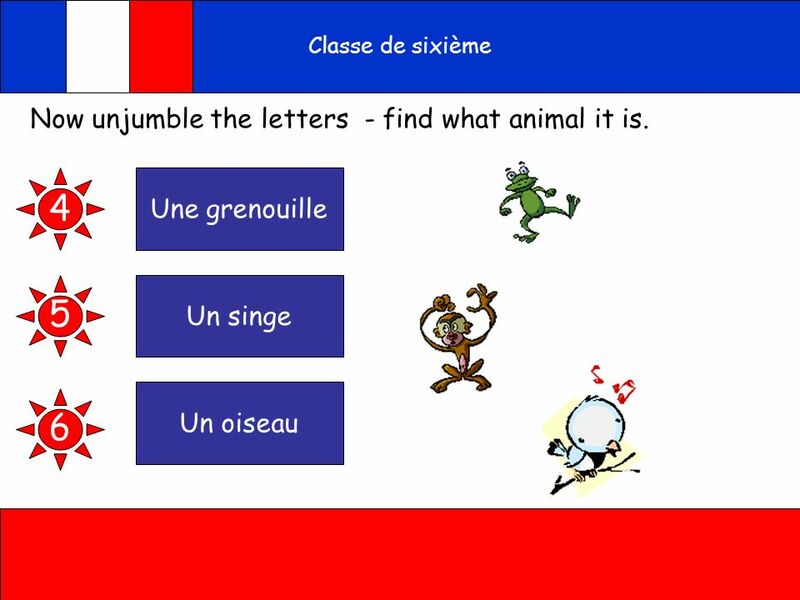 26 A toi 7 8 9 Now unjumble the letters - find what animal it is. 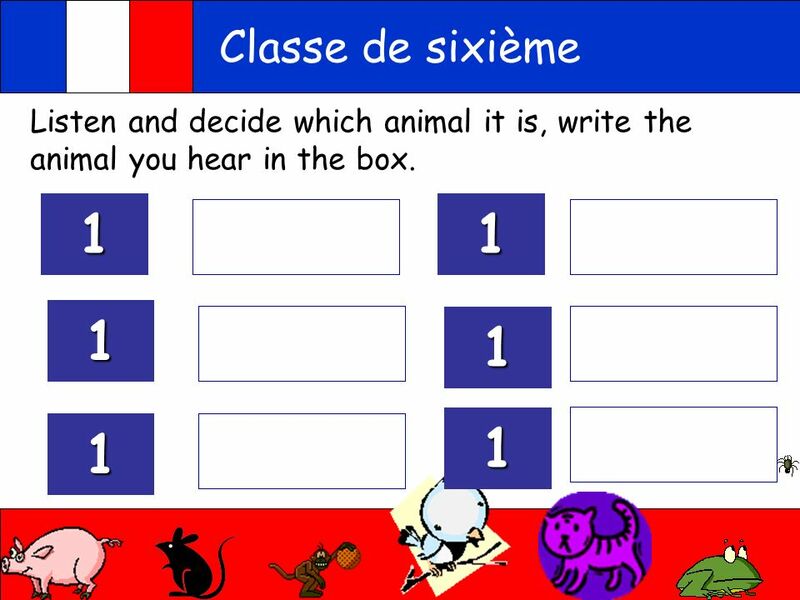 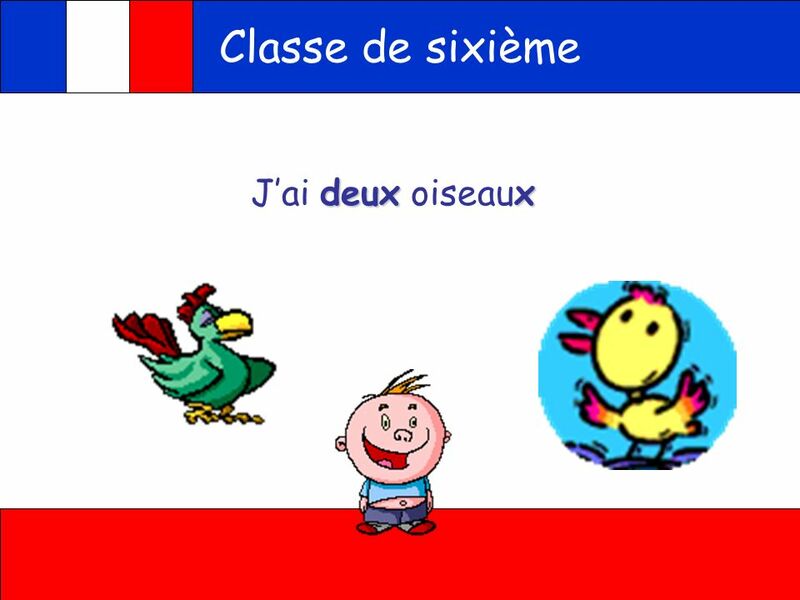 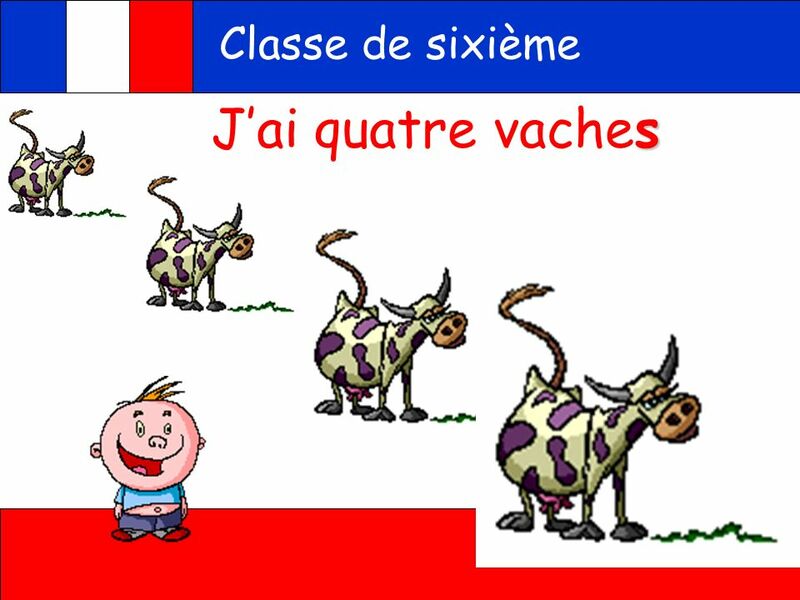 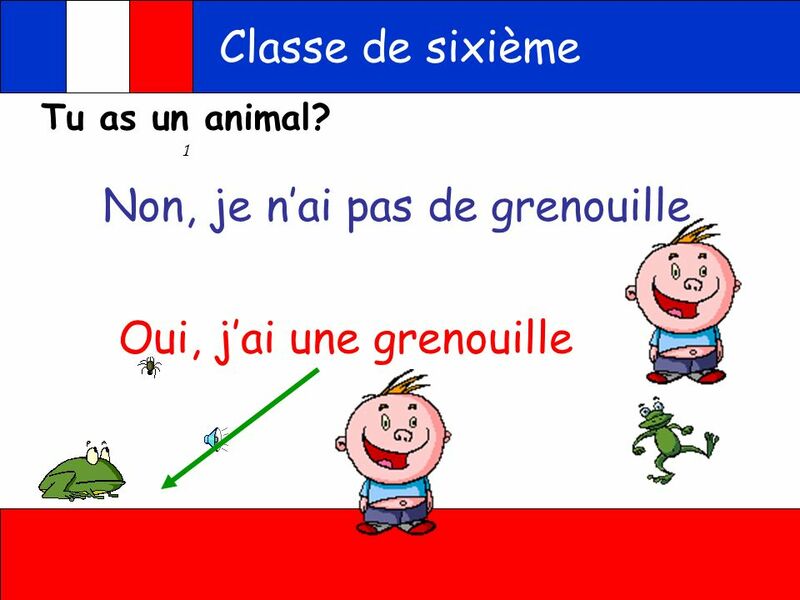 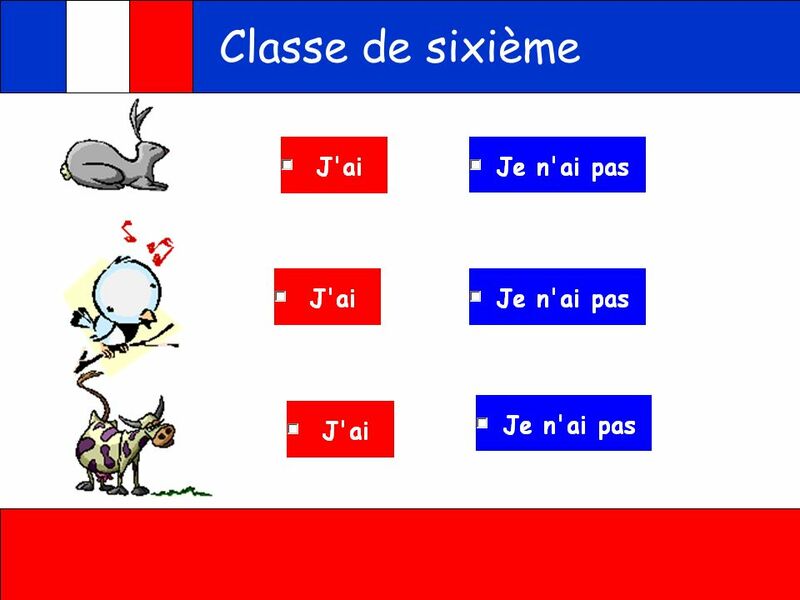 Télécharger ppt "controle classe de sixieme"
Le Lion et La Souris (Fable). 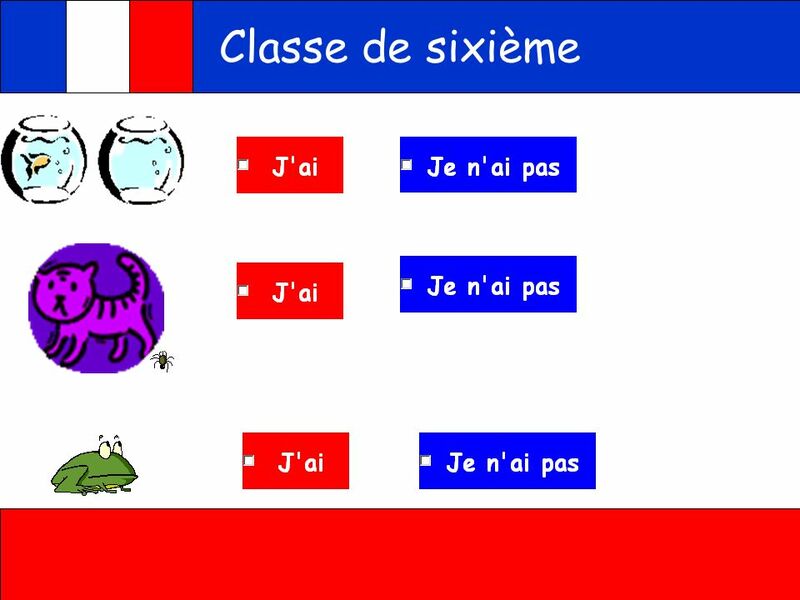 LE PASSÉ COMPOSÉ 1 (The Perfect Tense) GET IT PERFECT FOR LEVEL 5. 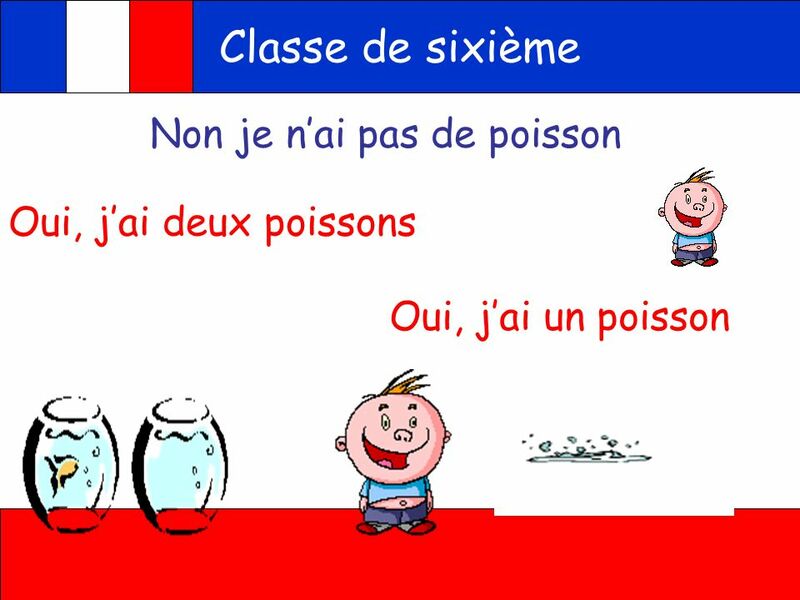 ROLE-PLAY OVERLAP. 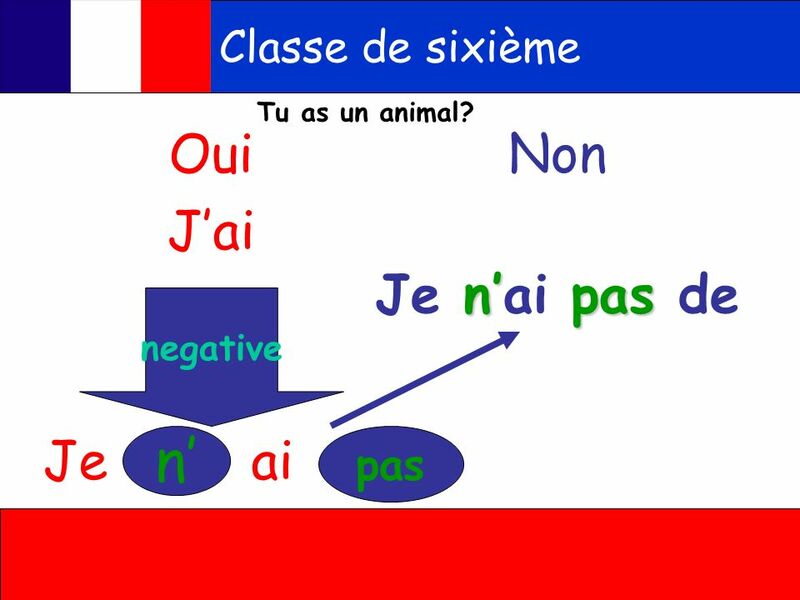 You are talking about your pets For help with the vocab, click herehere Listen to the question and replyIl est noir et blanc et assez. 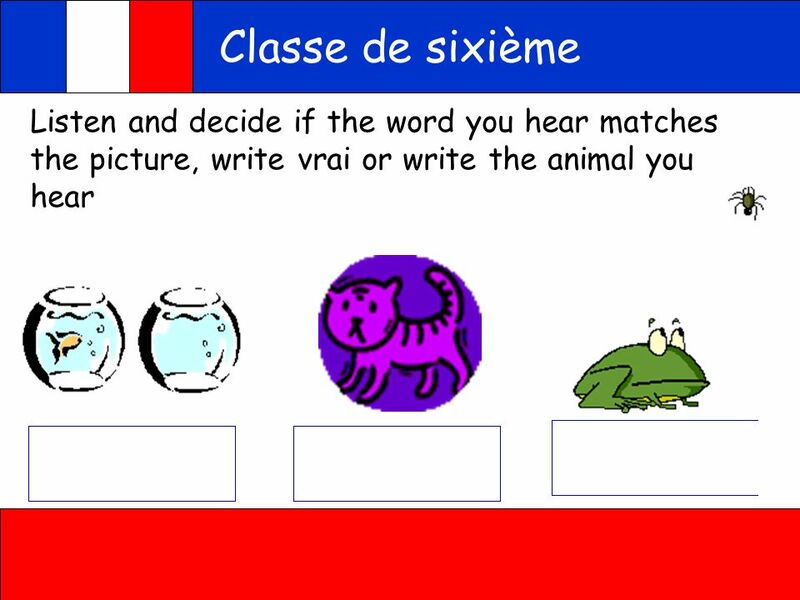 Learning Objective Be able to use colours as adjectives with pets. 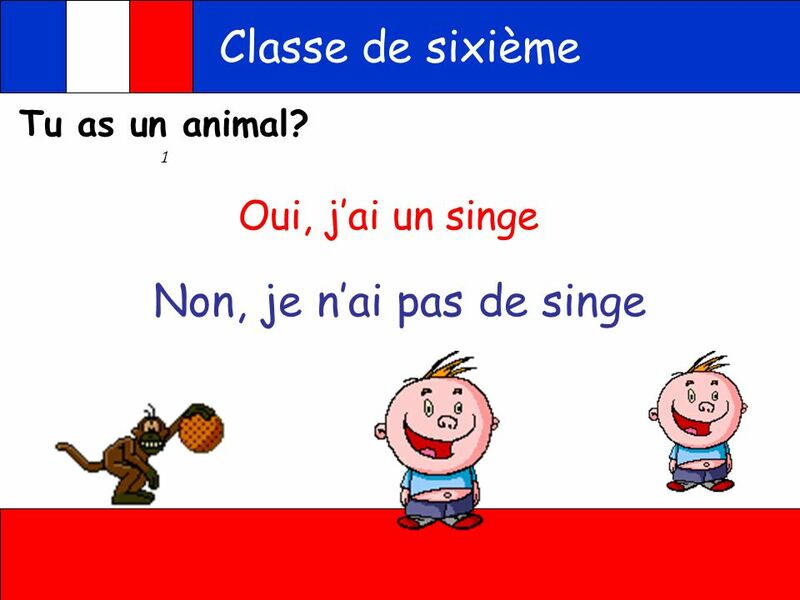 Les adjectifs La description d’un nom. 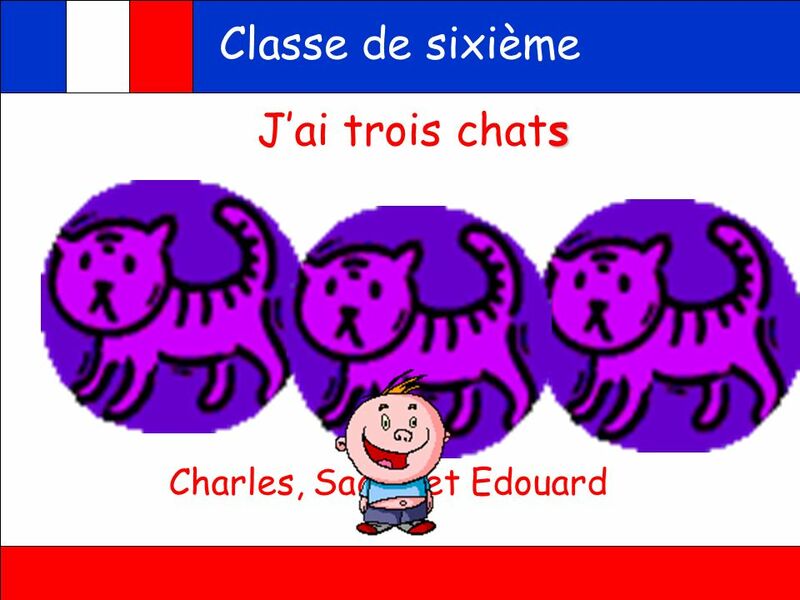  Will be able to correctly give names of pets with some colours ( level 2)  Will be able to extend sentences by adding additional information such as.